Marketing Today: More like Making a Salad than Baking Bread? How do you bake bread? Not that I am any kind of an expert at cooking (just ask my kids) but when you bake bread, you heat up an oven, add the ingredients and cook the loaf. You don’t have an opportunity to make changes once it is in the oven. If you put in too much salt, for example, you get salty bread. You can’t just add more flour after it comes out of the oven. With a salad, you have much more flexibility. You start out with some fixings—lettuce, tomatoes, olives—and then once you have combined them, you can add tomato and cheese. If you put in too much cheese, you can add additional lettuce. 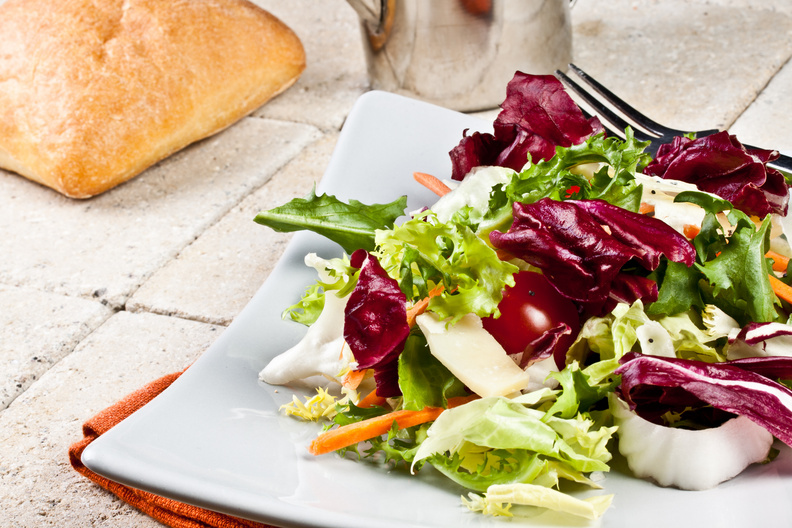 Even after serving the salad, you can make changes based on customer preferences. Marketing used to be more like baking the bread. You had to be all-in, once the ingredients were put together. Many experts are saying that we are in the age of niche, localized marketing. With real-time data, we can continuously fine-tune our message to produce better results. Localized mobile advertising: A deli with several locations found that some products sell better than others in specific locations within half-an-hour of each other. Pumpkin Pie: every year a small local bakery business battles with Frisch's Big Boy to market pumpkin pie. Both businesses benefit. Effectively using digital marketing, including social media, encourages experimentation—experimentation on a limited budget. Using analytical tools—like Google Analytics—shows almost instantaneously what is working and what can be improved. The convergence of these two forces has changed marketing dramatically. New start-up companies are taking advantage of this today. Larger well-funded companies are starting to understand the power of this change. Change does not mean that you throw out the old and take on the new. It does mean that you use the new marketing tools to evaluate the old. If it’s working, keep it up. If not, try something else. Over the last 10 months, we have quadrupled our web traffic, doubled our leads, and improved our search rankings dramatically. These are some of the reasons for our dramatic growth. (Not the main reasons. People are always the most important asset of any company, large or small.) But we don’t have a big budget. We have been around four years and haven’t used debt financing so we have had to be very strategic and budget conscious with everything we have done. We have all had experience as marketing executives in big companies with big budgets but we chose to leave that environment and concentrate on providing our services to mid-size companies where every dollar counts. Companies like our own. That’s why with our clients, we spend their money just like we spend our own—wisely. What do you think? Would you rather bake bread or make a salad?